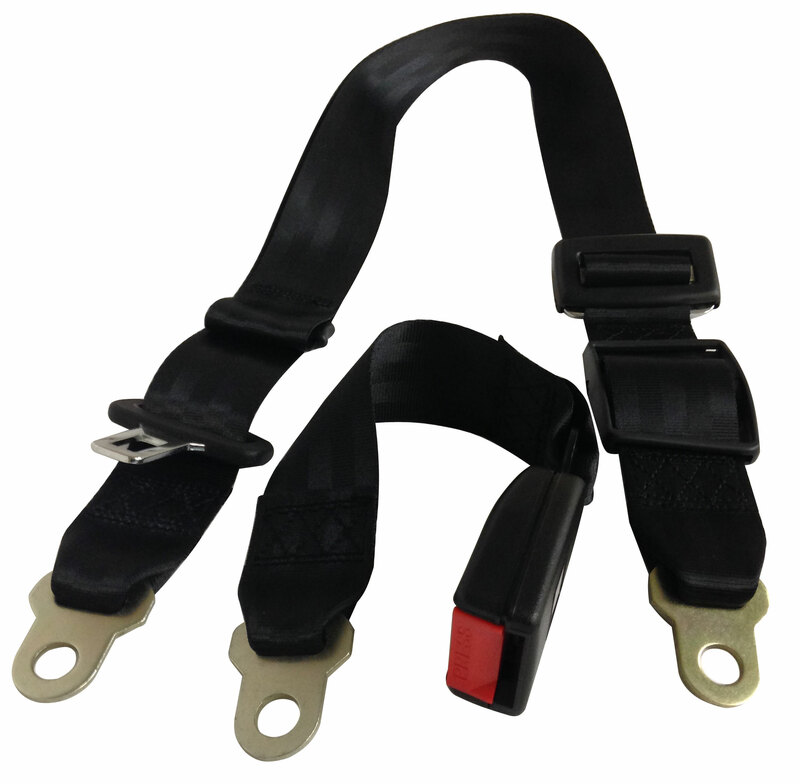 Replacement 3-point seat belt for any Yerf-Dog model go-kart that currently uses a three point system. Universal belt can be used on the driver or passenger side. Total Lap & Shoulder Belt Length: 75"
Total Buckle and Belt Length: 14"
Q: Will this 3 point seatbelt fit on a Yerf dog model #3002 ? A: Yes this is the replacement belt for that Yerf-Dog model. Q: Will this work on yerf dog model 3203? Q: Is this the price for both driver and passenger seat belts? Q: Is this a retractable seat belt, and if so, does it match the belts on a yerfdog 3206?